CardLite makes life a little simpler! Store your membership, gift and loyalty cards on your mobile device with an downloadable card image or your own personalized image. Quickly select and present your card at the checkout counter to earn or redeem points. Reduce the bulk in your wallet! 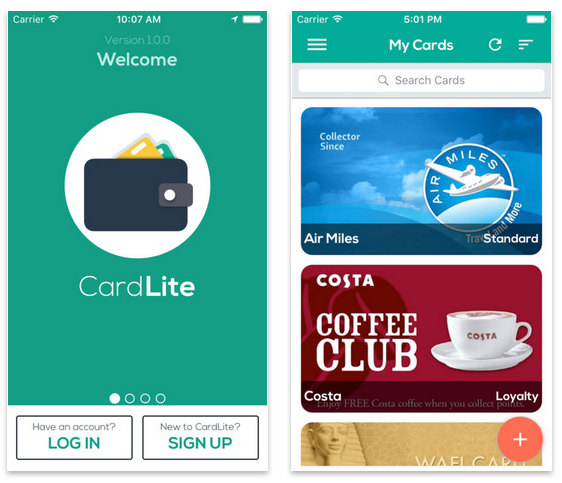 CardLite is a simple loyalty, gift and points cards management app for the modern consumers who want easy access to their loyalty cards without having to stuff their wallets with unnecessary plastic.